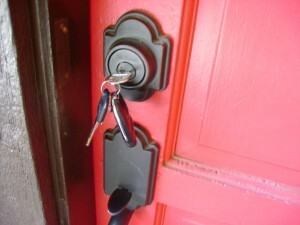 Our friendly residential locksmiths in Waco, Texas are available whenever and whenever you need them. Our professional and experienced residential locksmiths located locally in Waco provide the most high quality service in the region. It doesn’t matter what kind of lock problem you have, we can fix it. Our 24/7, 7 days a week residential locksmith service in Waco has you covered for all your locksmith needs such as lock changing, unlocking your house if you get locked out, new locks installation, replacing and installing door handles, installing deadbolts, doors and window locks, and cylinders re-keyed. We provide all kinds of residential security systems in your budget for all homes and apartments located in the Waco metro. Our highly skilled and experienced technicians are always equipped with all types of lock and rekeying tools and can unlock your door on the spot quickly without causing damage to your home. We can change your locks, replace your entire door and repair or replace broken locks, re-key them to match, extract broken keys, and any other service you desire. We provide same day service or appointments. A free security check is included in all services!